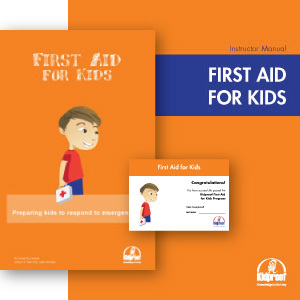 First Aid for Kids is an active and informative class which teaches students how to respond to medical emergencies, such as cuts, burns, choking or broken bones. 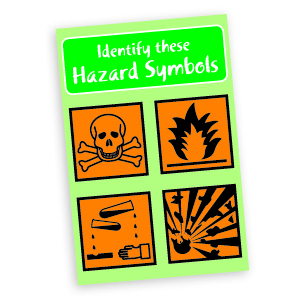 Knowing how to safely respond to an emergency can make the difference between life and death. 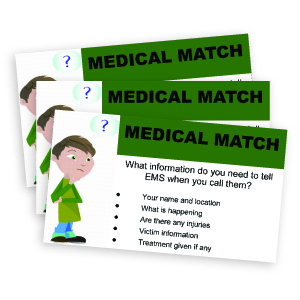 We all hope that kids will never have to face a medical emergency situation, but we know that sometimes things can happen that are out of our control. 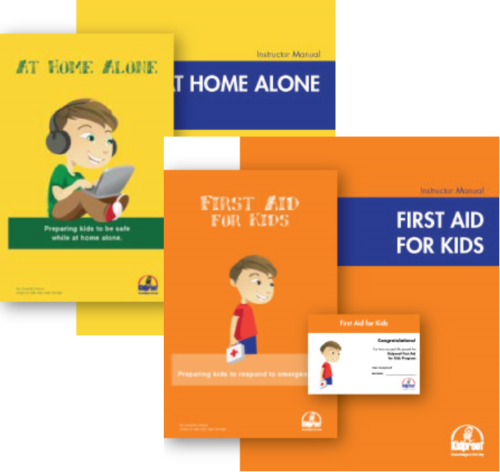 In order to help them stay calm and respond safely, we need to be sure that kids understand the fundamentals of Emergency First Aid. 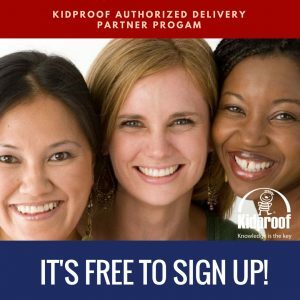 The Kidproof First Aid for Kids class is an active and informative two (2) hour program that teaches students how to safely respond to medical emergencies such as cuts, burns, choking, broken bones, allergies and accidents. 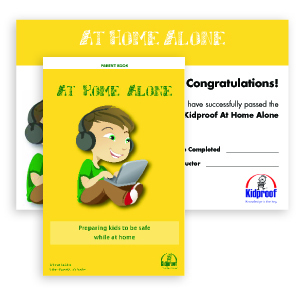 Excellent when added to the At Home Alone Program! 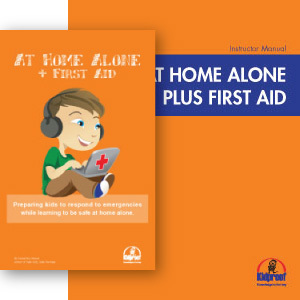 First Aid training at a young age helps to build confidence and self-esteem, as well as teamwork and communication skills. 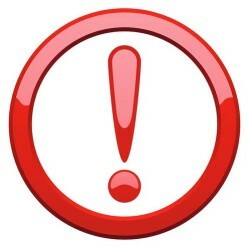 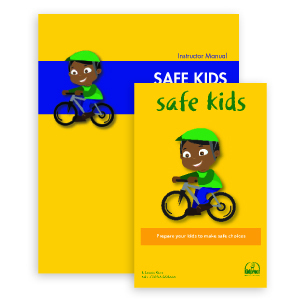 This program is a valuable addition to your child’s safety education plan. 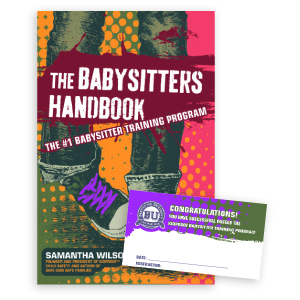 This program is best for students ages 10 – 14 and is an excellent addition to the At Home Alone program. 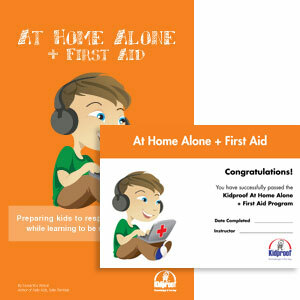 First Aid for Kids is a two (2) hour program that can easily be divided into shorter segments throughout the year. 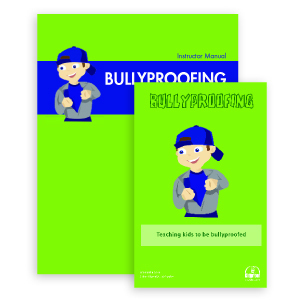 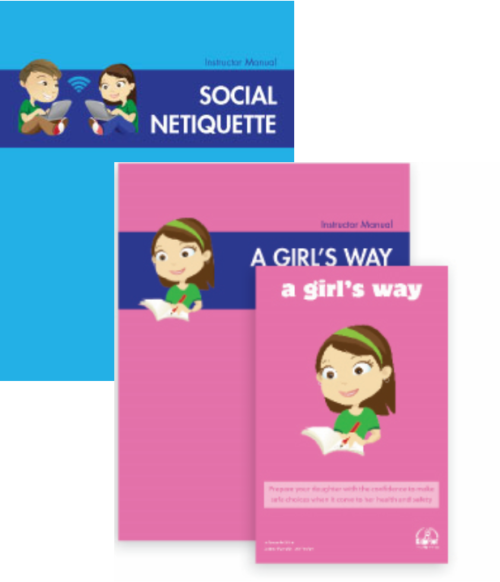 Reproducible student worksheets and wallet completion card are included in each lesson plan package.